I don’t know about you, but I find picking a paint color to be a stressful task. Seriously, you are about to invest the time (and/or money) into painting your house, you don’t want to be wrong! I’ll never forget when my sisters and I spent a summer day ready to surprise my mom with a secret project. When she got home from work, she discovered we had painted our bathroom a lovely (terrible!) shade of purple and had completed the look with a matching shower curtain and accessories. Needless to say, I think she would have been much more thrilled if we had just done the dishes. 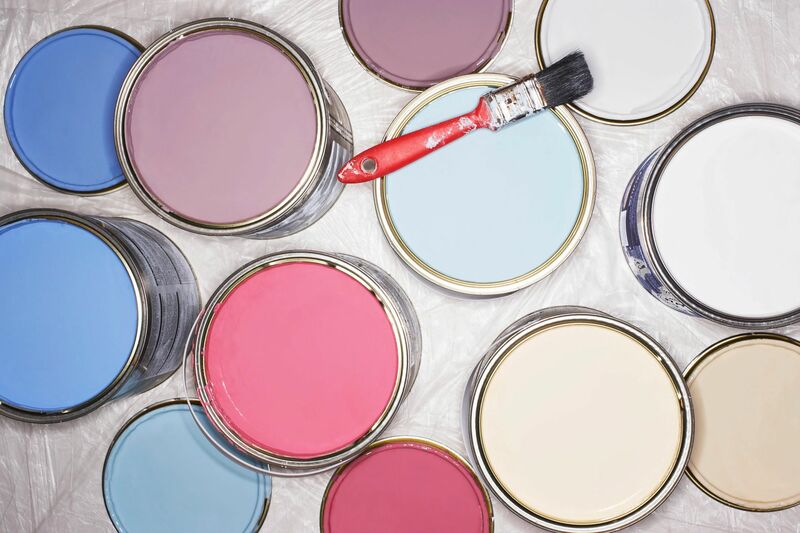 Today, I’m currently faced with the task of choosing new paint colors for my home and I don’t want a purple bathroom repeat! Like many of you in the Greater Baton Rouge, Ascension and Livingston Parish areas, my home was a casualty of the infamous “Great Flood of 2016.” I’m in the process of rebuilding and I am now faced with the dilemma…paint. Do I paint it back the same color it was before the flood (Sherwin Williams Rice Grain) or do I venture out and try something new? 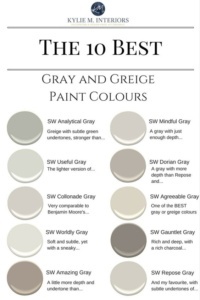 The one thing I do know, I want a neutral color that will stand the test of time. To help me decide, I got the advice of a few of my good friends on HGTV. Well, actually I just watched a marathon of Fixer Upper, that’s the same thing right? 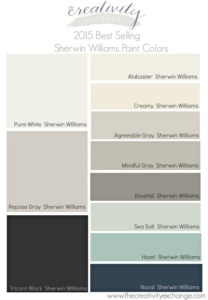 I noticed that almost everything was gray or a combo of gray and beige, aka “greige.” I did some research and found a cheat sheet and great blog with some examples of the best gray and greige colors by Sherwin Williams: Gray/Greige Blog. It has been a good guide for me in deciding which direction to go. 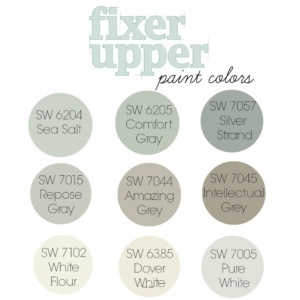 I also found a few color guides that (supposedly) are colors used frequently by my BFF’s (Chip and Joanna Gaines). 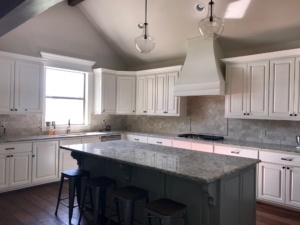 In the end, I think I’ve decided to go with Alabaster trim and cabinets, City Loft throughout my house and I’m going to spice up with Master Suite with Sea Salt. They are a little on the safe side, but I’d prefer that. This flood adventure has had me living to close to the edge… of sanity! 3/8/2017 Update: I actually ended up with silver strand in the master suite and, if I did it all over again, I may go with something just a tad darker on the walls throughout the house, possibly agreeable gray or repose gray. Overall, I’m happy with the results and happy to have a functioning house again. Ignore the blue tape- it’s still a work in progress, but you can check out the color selections below. 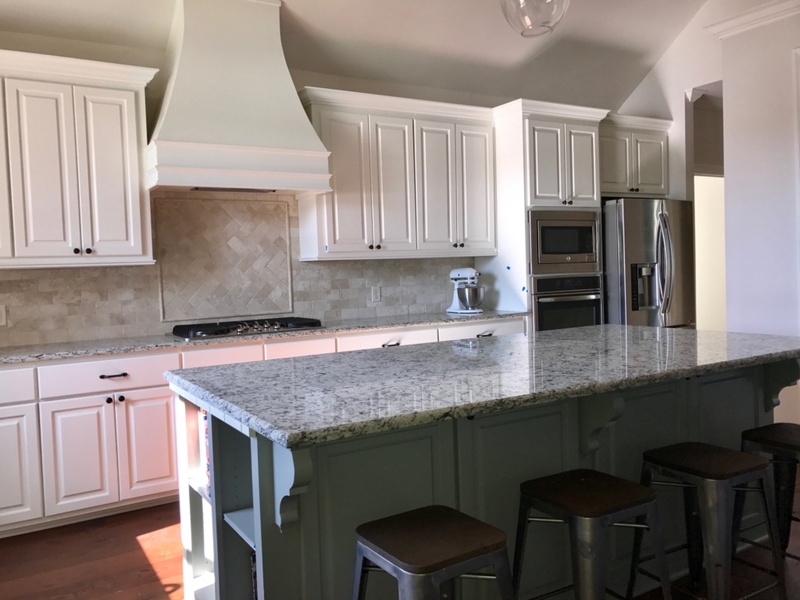 Paint Colors: city loft on the walls, alabaster on the cabinets and stamped concrete on the island.